6 luxury self-catering cottages in the beautiful Langeberg Mountains near Swellendam. 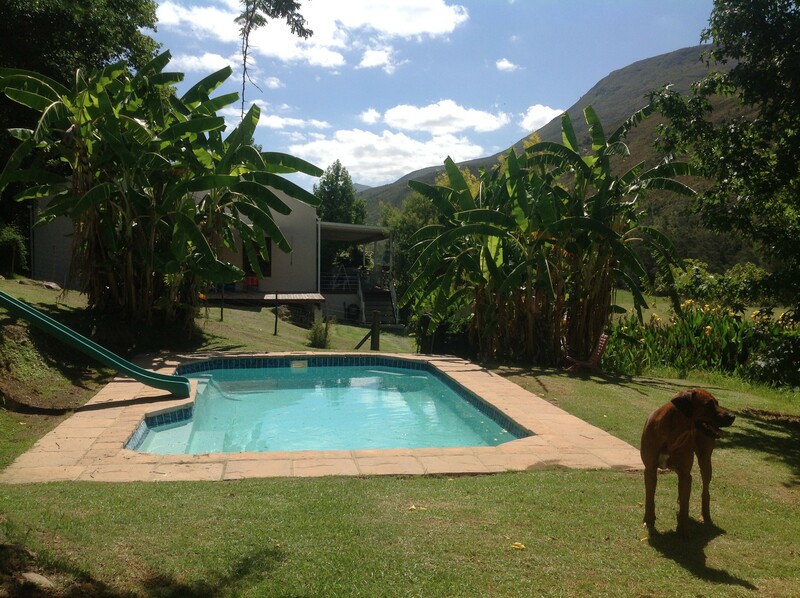 Frog Mountain offers a beautiful, pleaceful getaway in the Langeberg Mountains near Swellendam in the Western Cape. We have 6 cottages catering from a family of 5 to our largest cottage which can sleep 12. Plenty of facilities available on your doorstep - kids palyground, Swimming Pool, Labyrinth, own stretch of the Buffeljags River for canoeing etc, waterfalls, fishing dam, hiking, etc.